When I thought about Summer in China, two things sprung to mind. The hot weather, and Summer School. I can honestly say whilst I thought of these two aspects of Summer in China, nothing could actually prepare me for the reality of it. I had heard so many rumours about Summer School at work. Some ranged from not too bad, actually doable, to the other rumours that made it sound like a living hell. The reality was nothing what I had expected. We were told that we would all be teaching one extra class for the six weeks, and only having one day off for the weekend. We would come into work 2 and half hours earlier each day that we worked. It seemed easy. The first week was. Almost too easy. After the first one day weekend, it started to hit, that there was no ‘downtime’. Especially if you are someone like me, who likes to do something on their day off to make it seem productive, and to make the most of the fast dwindling time left. The second week people started getting tired, but still had energy. By the time that the fourth week came, we were shattered. It was only one extra class, but all the extra time that we needed to be at work seemed to have a more psychologically draining effect than a physically draining effect. But by the time the last week had arrived, we were all so happy and relieved, that we almost forgot our sheer exhaustion. The Summer Course itself was interesting. I was teaching my first starter class, and sharing the class with another teacher, so it wasn’t as if I was teaching my own extra class, but half the load. It was challenging, but it also meant that I could see another teachers teaching style and change how I would teach to be able to accommodate the two styles so as not to confuse the children. Plus the end of the course, we were told to have a party with the class, so that was a fun and exciting class, and the children seemed to really enjoy it all. I can say though that the Summer Course was definitely a hugely rewarding, and bonding experience, especially between the teachers. Plus we then had two weeks off to be able to go and explore China, or to recover and relax. So my idea of the hot weather was true. It was swelteringly hot, but also typhoon season. So it would alternate between this hot sticky humidity, to a thunder clashing, lightning storm, with a heavy downpour. The cliché ‘raining cats and dogs’ did not suffice. I suppose it is harder in a built up city, where the air flow is limited, making the humidity a lot more noticeable. But after our six weeks of Summer School, was our holidays. I had opted to travel around China’s Hawaii – Hainan Island. It really was paradise on earth. I don’t think Hawaii could have much on this. It made working the exhausting Summer School so worth it, to be able to have these days off. I started with all the best intentions of seeing everything, the beaches, the tourist attractions, the rainforests, the volcano parks, mangroves, and coconut plantations. It started out this way as well. Enjoying living in hostels, meeting so many new people, experiencing the island. By the end though I was relaxing on a beach, not exploring, just taking in the view and the sound of the waves. The heat didn’t seem to matter, and the exhaustion just washed away. Summer is China is hot, and tiring. The extra class drains your energy, and the heat saps away at your energy as well. The combination of the too literally does leave a person drained and lethargic. At the same time, you are also so rewarded, and satisfied. You have rose to the challenge and succeeded. You are rewarded with not only a long holiday, but also knowing the children loved your classes, so much so that the majority of them actually signed up to continue lessons at the end of Summer. Plus you now know that you are so much stronger than you thought, especially psychologically! Read more articles on living and teaching English in China here. 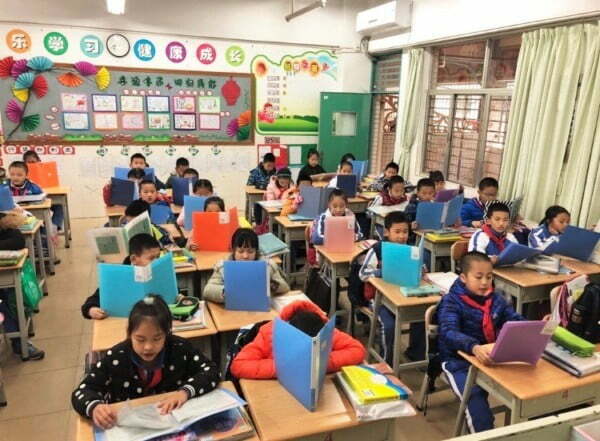 Gold Star TEFL Recruitment has been assisting teachers secure the very best teaching jobs in China since 2009 and has close connections with China’s leading schools. For details on teaching jobs in the city of Fuzhou or with Disney English, Wall Street English, English First and other major language schools have a look through our website and submit an application today.